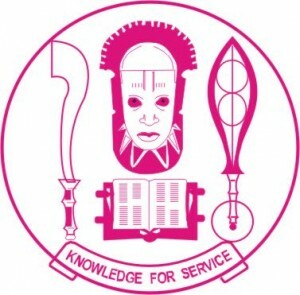 University of Benin, UNIBEN direct entry admission screening application form for the 2017/2018 academic session is now available online. Applications are invited from suitably qualified candidates to the University of Benin (UNIBEN) direct entry screening exercise for the 2017/2018 academic session. Only candidates who applied through JAMB for the 2017/2018 Direct Entry Admission and chose University of Benin as First Choice are eligible for this Screening Exercise. Obtained at least five (5) credit passes at GCE O/L, SSCE, NECO or their equivalent. The subjects must include English Language, and Mathematics (for courses for which a credit in Mathematics is required) as well as three other relevant subjects as not more than two sittings, except for the MB.BS degree for which only one sitting is required. National Diploma, Higher National Diploma, University Diploma, University Degrees, HSC/GCE A/L, JUPEB or other recognized equivalent in relevant subjects. All applications should be made between 8.00am on Monday 9th October 2017 and Midnight Tuesday 17th October 2017. Click onRegister for application at the top left of the display page to proceed. Enter yourSurname exactly as written on the JAMB Registration slip and your JAMB Registration Number immediately, your ID and Password will be displayed on the browser. On thehttps://uniben.waeup.org click on ‘Login’ (top right of front page). The University of Benin (UNIBEN) Direct Entry Admission Screening Exercise for 2017/2018 Academic Session will be conducted by UNIBEN CONSULT NIGERIA LIMITED and will take place on the 21st of October, 2017 in designated centres within the Ugbowo Campus of the University. The Screening Exercise shall be conducted using the Computer Based Test (CBT) mode. All candidates are expected to be seated, latest one hour before the stipulated time for their screening exercise. Closing Date: Application website closes by 17th October 2017 (i.e. all applications must be concluded online not later than 17th October 2017). Candidates, who pay after the deadline of Midnight 17th October 2017 will not be Screened.